Crystal flattened (twinned with more crystals?) 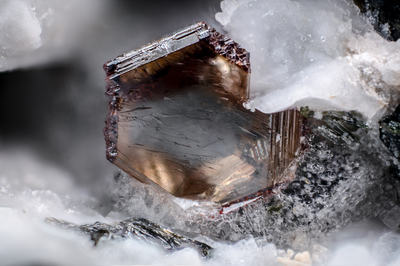 Of sphalerite, dark brown in color. Collection and photo of Gianfranco Ciccolini. Nikon D750, bellows, Luminar 16 mm.